James F. Ward, 84, of Blue Rock, passed away at 3:58 a.m. Friday, December 25, 2009 at Autumn Health Care of Zanesville. Jim was born December 13, 1925, in Elkins, West Virginia, the son of the late Lanier and Rena Harris Ward. He was the owner and operator of the Ward Service Center Garage. Jim was a excellent mechanic. He was a member of the Cornerstone Full Gospel Church South, a World War II Coast Guard Veteran, a lifetime member of the American Legion Post 29, where he served as a Commander. He originated the Sons of the Legion and formed the American Legion Post 29 Color Guard, which entered a state competition and won. He also was Past Chef-De-Gare of the 40 & 8. Jim was a lifetime member of the V.F.W. George Selsam Post 1058 and a member of the Masonic Lodge F.& AM at Mansfield Ohio. Surviving are four grandchildren, Kay (Kevin) Nichols of McConnellsville, Karen Crellin of Philo, Kim Ferguson of Philo and Jeff Brown of Zanesville; four great grandchildren, Megan, Madison Crellin, Kylee and Kaylyn Nichols; two great-great grandchildren, Tirayla and Charllie. Besides his parents, he was preceded in death by his wife, Theda Mae Ward, who died September 23, 2005; and a daughter, Lorna June Ferguson, who died July 31, 2009. Friends may call 2 to 4 and 6 to 8 p.m. Sunday, December 27, 2009 at Bolin-Dierkes Funeral Home, 1271 Blue Ave. Zanesville. Funeral services will be held at the funeral home at 10:00 a.m. Monday, December 28, 2009 with Pastor Steve Smith officiating. A dignified cremation will follow with burial to follow at a later date. 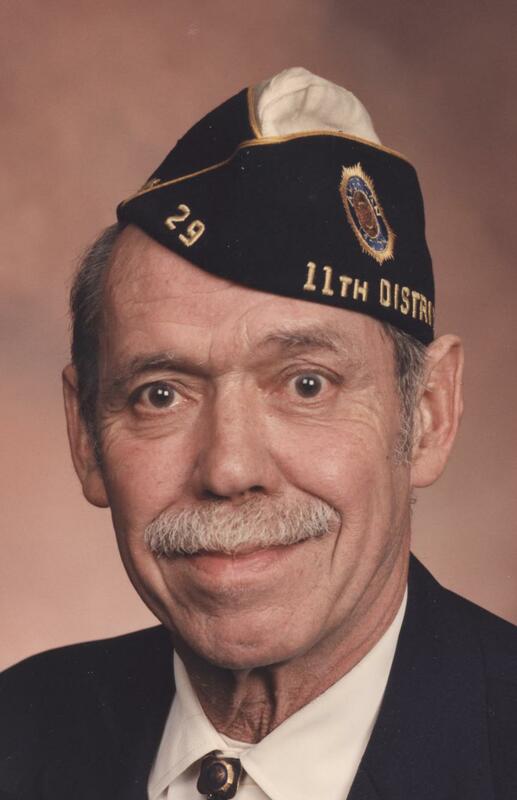 In lieu of flowers, the family request memorial contributions be made to the American Legion Post 29, 27 South Third St., Zanesville, Ohio 43701.